Who Is Viparspectra | Do These Grow Lights Live Up To The Hype? Viparspectra is a leading LED grow light manufacturer. Know for quality LED grow lights that make growing cannabis easy. This is why we love our Viparspectra reviews. The grow lights manufactured by this company have evolved and is the gold standard for growing indoors with LED lights. If you are a beginner or intermediate grower you will want to take not of these spectacular grow lights if you have not already. This article is designed to review Viparspectra as a whole. From an LED engineering perspective as well as a breakdown of the Viparspectra LED’s that make this company so popular with indoor growing enthusiasts. Viparspectra is an LED manufacturer based in Guangdong, China. They manufacture and distribute directly all over the world which keeps costs lower than companies that use a middle-man to sell LED’s like some Chinese companies. Although China is known for lesser quality and highly manufactured products, Viparspectra’s brand is well known and reputable. They have a fantastic warranty on their line of LED grow lights of 3 years including a 30 day money back guarantee in case you are on the fence about these LED lights by Viparspectra. It looks like just a bunch of random numbers, but if you are new to growing these numbers mean that the range of bulbs included in every Viparspectra model will land perfectly on the spectrum that you plants need to grow and thrive. They create healthy plants. This means no switching between lights to include a spectrum that your plants need. Each model has a built in veg and bloom switch to make switching lights to include at the right time of the growth cycle. What makes Viparspectra so special? Viparspectra covers all the basic options very well. They include in every model full spectrum lighting that cannabis needs for healthy growing plant life. By utilizing full spectrum that falls within 440nm – 730nm along with 7500 Kelvin blasts they will accommodate each phase of plant growth cycles from veg to bloom that cannabis requires in making the perfect plant. 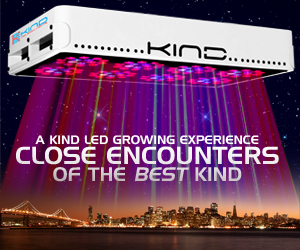 They have also produced to styles of lights with different options depending on your experience level to accommodate novice growers new to LED’s and growing, as well as a more “in control” series that allows for precise control when it comes to altering your light spectrum for plant growth efficiency. A feature that experienced growers love. The 2 models Viparspectra offers are labeled dimmable and the other reflective or reflector series. The LED dimmable series allows the light spectrum to be altered at a moments notice to give your plant the light it needs depending on the situation, more so than the reflective series. Although the reflective series allows for veg/bloom switching via a toggle switch, the dimmable goes above and beyond that. Control is what the dimmable series offers. You can dim the lights via 3 spectrum channels – red, blue, and white. Used by advanced growers who are knowledgeable about spectrum timing with plant phases. If you are new to growing, but have done a lot of research about light spectrum this light may still be perfect for you. Every LED grow light in this series comes with vertical style yoyo hangers, 3.2 inch aluminum heat sinking fans for heat dissipation, and long 6 foot power cables. Within the reflective series models that Viparspectra offers are the built in reflectors that do a decent job of reflecting the LED bulbs deep within your plants to provide ample lighting in full spectrum. Perfect for beginners who don’t fully understand the function of lighting when it comes to indoor gardening. It simply removes a lot of guess work that goes into growing with full spectrum lighting. Viparspectra’s reflective series all come with quiet fans that are large (4.72″). They also use quality aluminum heat sinks to disipate heat effectively. There are a variety of models that the company offers. I hope you learned a lot about Viparspectra as a company and the grow lights that they offer. Affordability and quality mashed up into their products is what keeps them at the top of the food chain when it comes to LED grow lights. If you are new with growing indoors it is our recommendation that you start with a model from Viparspectra. Lastly, they have great customer service and are happy to answer questions about the lights they offer. Good luck and Happy Growing. Feel free to leave us comments or questions below!